How would you like to learn the best self hypnosis techniques? There are actually two techniques I’m going to teach you. One of them is the betty erickson self hypnosis technique (add link later). The other one involves using a pendulum to troubleshoot your hypnosis sessions. The best self hypnosis techniques I’m about to mention are part of Igor Ledochowski’s audio program, The Power of Self Hypnosis (here is a non-affiliate link). 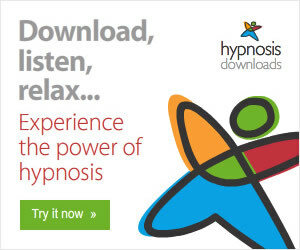 Listen to the podcast below to discover the best self hypnosis techniques. The first technique is the Betty Erickson self hypnosis method. This method is pretty straight forward. Get into a comfortable position, either lying down or sitting comfortably. Mentally state 4 things that you can feel. (I can feel the bed below me, I can feel the temperature of the air, etc). After you have completed the 3 rounds of 4 things you can see, hear and feel, repeat steps 2 to 3 with 3 things. Then 2 things, and then 1 thing. So basically you mentally state 4 things you see, hear and feel. Then 3 things you see, hear and feel. Then 2 things you see, hear and feel. For the last round you state 1 thing you see, one thing you hear and one thing you feel. I personally fell in love with this induction once I started using it. Using this self hypnosis technique I was finally able to achieve a self hypnotic trance. I’m not going to tell you that this induction will be perfect for you, because I’d rather you discover this on your own. The other best self hypnosis technique (non affiliate link) uses a pendulum. Using a pendulum, you can do all sorts of amazing things with your self hypnosis sessions. You can setup a kind of yes/no signalling system with your unconscious. Both of these self hypnosis techniques are part of Igor Ledochowski’s Power Of Self Hypnosis (non affiliate link) audio program. 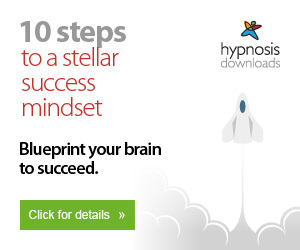 I talked about this program in my Power of Self Hypnosis review. P.P.S. 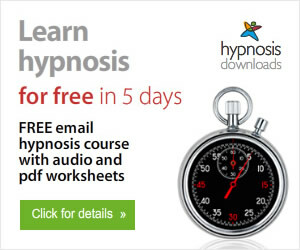 Subscribe to the Hypnosis Product Reviews newsletter with the form below and get 12 free trainings. I did not feel that I learnt from you how to use the pendulum for self-hypnosis! I knew how to use a pendulum before for asking my unconscious questions, but not how to use it for self-hypnosis and still don’t! If i can’t see anything in bed because it is very dark, what do i do instead. i have problems sleeping. Also, some people say one should look at a point in front of you on the ceiling whilst doing the induction and allow eyes to close naturally. Is this necessary especially if it is too dark to see such a point?